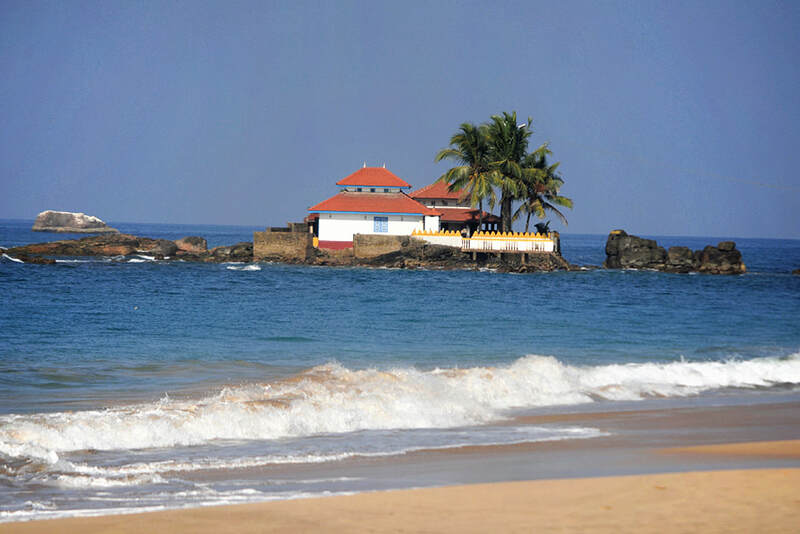 Seenigama Muhudu Viharaya near Hikkaduwa is a temple situated in a small islet just 200 m offshore. The temple is Sinhalese Buddhist. Another temple at the shores of Seenigama, frequented by both Buddhists and Hindus, is dedicated to a local tutelary deity named Devol, who is also worshipped in Unawatuna. The god is a protector of fishermen and boats. According to localizations of Ramayana narratives, Seenigama was the place where Sugriva, helper of Lord Rama, began his campaign against the demon king Ravana of Lanka, in order to free Rama’s wife Sita from captivity.